Hello, this lady texlaxes her hair and she has a hair forum and youtube page. I think you should take some time and listen to a lot of her videos. hi there! i know how you feel. it can be a pain trying to figure things out. but i second both what veemack and the first responder said. in the past when my roots were nearly impossible to get through to part, it was ALWAYS because i hadn't taken the time to properly detangle my hair. now my hair is EASY to manage and handle and i almost NEVER have issues, because i stay on top of my detangling. so make sure that from the time you get through washing your hair, you immediately detangle and set it. don't give your hair the chance to get outta control. my hair is always in some kind of defined curly state because it keeps my strands aligned and therefore unable to tangle up. or i reset it into chunky twists. this reduces the time i have to spend on it and gives me the freedom to wash my hair as often as i wish without having to dread detangling afterward. our hair takes a lot of planning, but once you get familiar with it it becomes second nature and you start to not see it as awful at all. it all has to do with a unique approach. i wash my hair as frequently as every 2-3 days and i rarely get breakage or anything, especially since my last cut. i would recommend a book called Tightly Curly, as it helped me bunches with not seeing my hair as a total albatross. good luck! let us know how it all worked out. i'd hate for you to put a chemical in it,simply because, as veemack said, relaxers and texlaxes require SOOO much more work in order for you to keep your hair healthy. give natural another shot, and see how it works out. i have few products to recommend simply because the only product i use is conditioner. and for me, almost any conditioner goes. so long as it aids in your detangling process, it's all you need, especially if you follow the tightly curly or the naturallycurly method. whichever one. I'm a bit late, but I want to tell you the heat training is not something you want to do. "Heat training" is when one intentionally damages their hair so that it stays straight. This is not good and can ultimate lead to breakage. I'm not trying to scare you away from heat or anything since I do get blow outs from time to time, but please don't this... you don't need to damage your hair just to get it straight. Hey ladies, apologies for not replying or keeping in contact for so long, I've started a new year in college, so there's lots of work, and I just moved into a new home which took up alot of my time, I also got a part-time job, which has taken up even more of my free time!! Being so busy it makes me wonder how I could even be taking care of my hair as much as you ladies do!! Some here have big families, working everyday and STILL manage to take time out for their hair. way through, those braids had undone themselves lol, maybe I should have done them smaller. 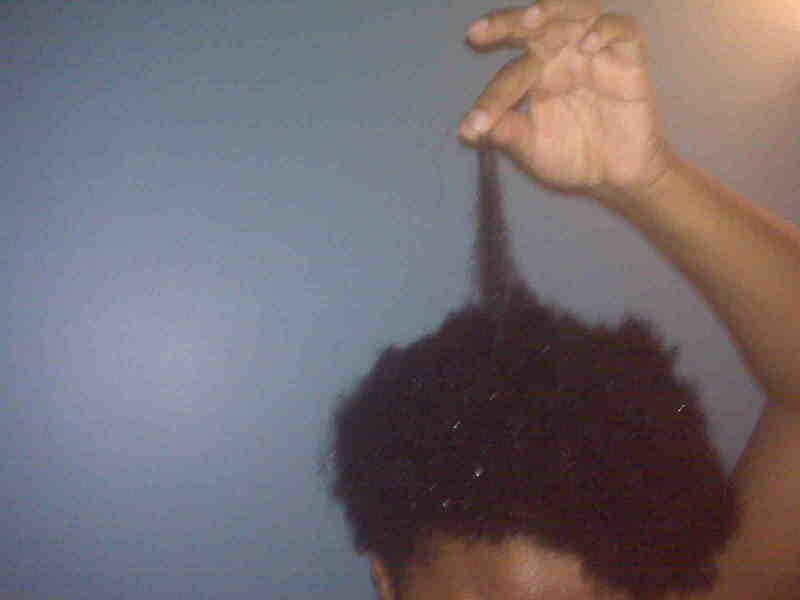 Also using natural oils (@Saniyah5) very helpful, I'm trying to use natural hair oils only - such as olive oil/coconut oil. I bought soft and beautiful (I think) which also had a colour code shampoo which was really helpful, I never knew that existed lol. Before applying the relaxer, I prepooed, (hope that's the right word) my hair with EVOO, I coated my hair from root to tip and left it overnight. Huge update guys thanks for reading if you got this far!! !